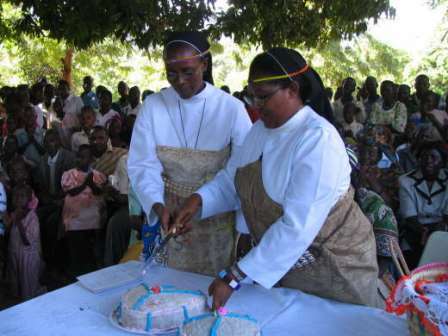 The Missionary Benedictine Sisters in Kenya live and work primarily in the Diocese of Eldoret and the Archdiocese of Nairobi. THe Sisters are engaged in a variety of ministries in these regions. Working with the poor population in their service regions, the Sisters respond to the needs of people by offering healthcare, education, pastoral ministry and social ministry. Since the founding of the Nairobi Priory, the Sisters have been engaged in providing quality affordable healthcare to their constituents. 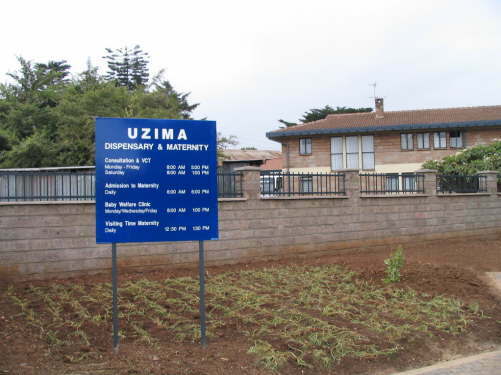 In the Archdiocese of Nairobi, the Sisters own and run Uzima Dispensary and Maternity at Ruaraka along Thika Highway. This dispensary operates as an outpatient facility ecxept for the Maternity section. On average, Uzima Dispensary serves 250 patients a day and almost 1,000 deliveries are done at the Maternity section monthly. St. Odilia's Dispensary, located at the Priory House in Karen, is an outpatient facility that serves almost 150 patients a day. This facility also offers the X-ray services, a program for the HIV patients, and dental care. In addition, the dispensary does outreach ministry (mobile clinic) at the nearby Christ the Teacher Institute at Tangaza College. In the Diocese of Eldoret, the Sisters offer healthcare at their dispensaries in Chesongoch and Endo communities in the Kerio Valley. the Chesongoch Health Center added new surgical unit to its facilities, hence making it possible for patients to be treated at the facility. Before the construciton of the theatre, the patients were transferred to other hospitals, and most of the time, this was a bad idea given the poor road condidtions and the costs involved in surgical procedures. The Sisters participate in the life of the local church through various ministries. At. St. Benedict's Parish, Thika Road, the Sisters are involved in you ministry while the main catechetical efforts are done by the parish catechists In some places however, like the communities in Endo and Chesongoch in the Kerio Valley, the Sisters serve as catechists and take a more active role in the pastoral work of the parishes. Subiaco Center is a guest house and a retreat center at Karen through which the Sisters extend their Benedictine Hospitality to the people seeking for a place for spiritual growth. The Center offers space for largegroup meetings, as well as rooms for private prayer and reflection. The Chapel is available for use by the groups as well as individuals. A number of Sisters are qualified to offer spiritual direction and serve as retreat directors. The Monastery Chapel is open to those who would wish to join the Sisters for prayer and worship. The Sisters also do small group bible studies with the local groups as a means of sharing their faith. These groups meet in people's homes and provides an opportunity for prayer and reflection. Providing quality affordable education is one of the main Ministries of the Sisters in Kenya. The Sisters operate schools in three different location in the Country. In Ruaraka (Nairobi), St. Scholastica School is primary school (K - 8) that offers education to kids from all walks of life. 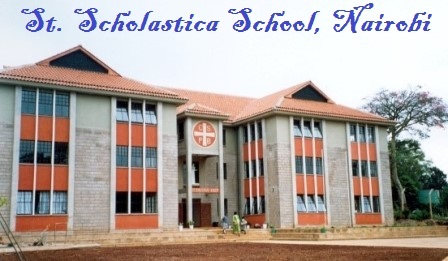 St. Scholastica School in Kimumu (Eldoret) is an upcoming school. Currently, the school offers K - 6 levels of education. The goal and hope is for the school to eventually be a fully equiped primary school (K -8) offering solid education to the children from this part of the country. In Chesongoch (also Eldoret), the Sisters operate a lower primary school - St. Scholastica Kindergarten - (K - 3). Kids can then transfer to either the parochial school or the public schools in the area. In addition, We have a number of Sisters teaching in various High Schools. Most of the work of the Missionary Benedictine Sisters in Kenya is done among very poor people. The Mission of the Sisters is to offer a helping hand to those people who would like to advance in life but their poverty makes it almost impossible for them to advance. The Sisters offer education assistance to so many students from poor families. The community's Social Fund program assists students with school fees payment, so they can attain good education. The elderly are also served by the Sisters. In the priory house at Karen, Nairobi, the Sisters visit the elderly people around the area. Most of these elderly people live on their own, and sometimes they lack a means of fending for themselves. The HelpAge program tends to the needs of these people by visiting them to do basic household chores like cleaning the house, doing grocery shopping, or providing some other items the elderly need. Once a year, the Sisters hold a Christmas party for the elderly at which each of the elderly people receives a gift from the Sisters. In other areas like the Kerio valley, the Sisters have initiated programs geared towards empowering women and girls. Providing a chance for the women to work to earn income and support their families is a concept that the Sisters are commited to in their ministries.